Checking back to show you a sneak peek of what I've been doing in the workroom today. I decided to make a few Christmas things for the store. 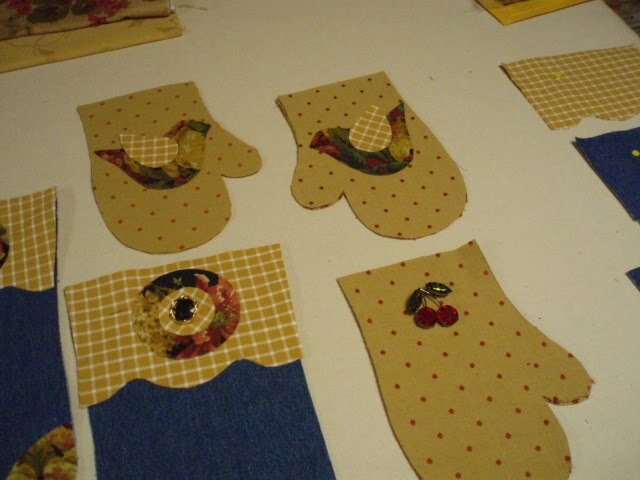 I've cut out and partially pieced 20 stockings today, and a few mittens. I'm going to sell the mittens as stockings too. See all those stacks of fabrics on the side of the table? Those are going to be more stockings, banners, mittens, and pillows. I'm thinking about making some mantle scarfs too, but haven't decided yet. I'm still in the layout phase, so I haven't made any final decisions on the trims and fringes yet. I went to sew some of the laces on that I had in stock, only to discover that they were too white for these color combinations. You know what happens when something in my house is too white, right? It goes into a vat of tea! So, while all of these trims are soaking, I thought I'd take a minute and blog about what I've been up to today. 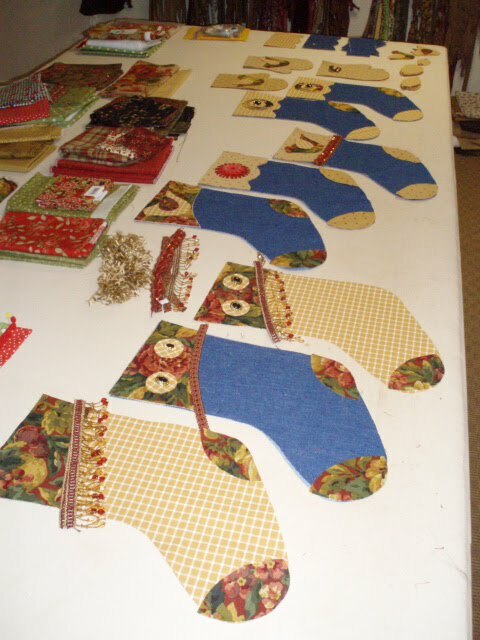 What do you think of the stockings so far? Do you have any ideas for other holiday items I can make for the store? I'd love your suggestions. I'm going for a "Holiday in the Country" look. I'm loving the stockings and mittens. The color combinations are fabulous. 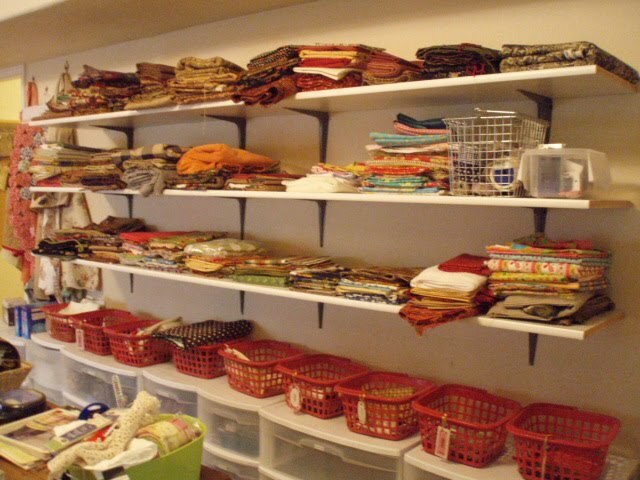 Your workroom is to die for....so much space...so much organization! Thanks ladies! I enjoy spending a lot of time in that room creating things. Wanted to let you all know that I finally got your blogs on my sidebar. You have been a busy lady. All those projects going and redoing your workroom too. I love the stockings and mittens. 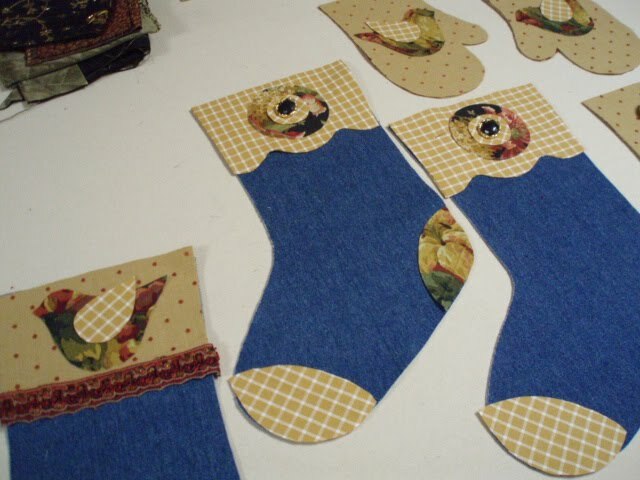 What a fun idea to have mittens for stockings. I love the denium ones. 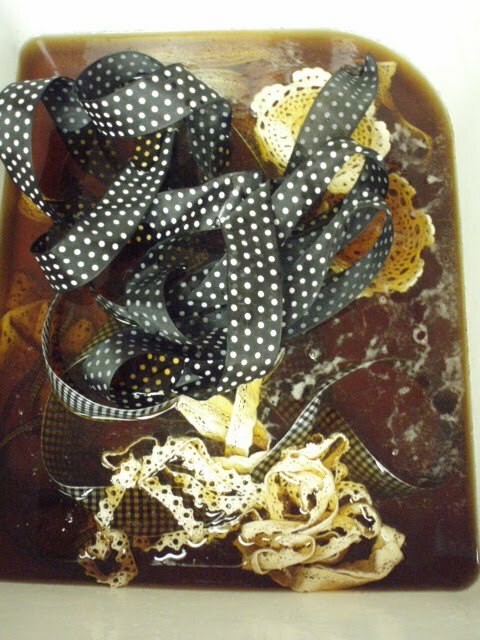 Was wondering what you were going to do with the black and white ribbons and trims. You have such a nice big work area. I do have a separate room but it is small and serves as office and spare bedroom when my grandkids stay over. I would love to have a place to leave all three of my machines up. I will go to Etsy to see what else you do. 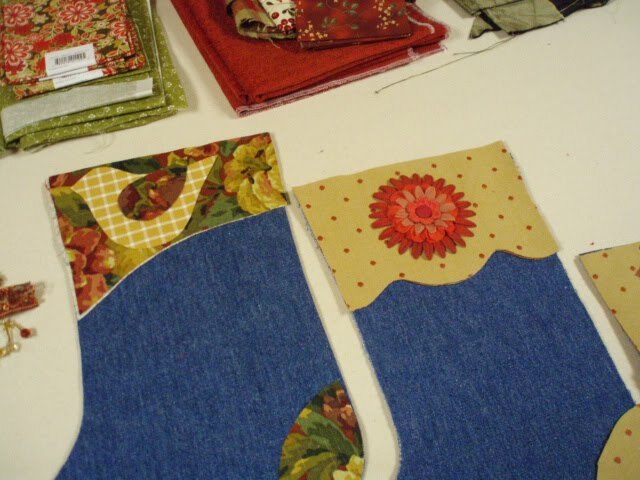 These stocking are coming along nicely! I’m equally impressed with your well organized craft space! Have you been to Denver Fabrics lately? I used to like seeing what LeGrue’s on Broadway was up to. Sadly the last time I visited it was not as nice as when it first opened years ago. When it used to be fantastic.